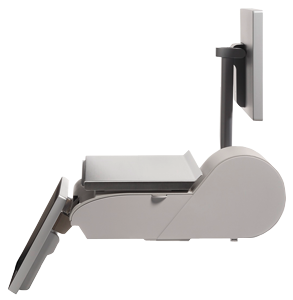 The UC Evo Line is METTLER TOLEDO's range of PC scales for the most stringent demands. The UC Evo Line supports the most comprehensive range of fresh produce and processor-intensive applications such as multimedia sales promotion at the POS. The UC Evo Line impresses with its easy networking and support for applications from third-party suppliers. Thanks to the extensive range of equipment and different models available, grocery retailers are sure to find a weighing solution that is precisely suited to specific requirements – whether for prepacking, at the service counter, or for self-service weighing. The compact design of the UC Evo Line scales helps save space at the sales counter. Avoid an unnecessary barrier between sales staff and customers and enable employees to access items on the sales counter quickly and easily. 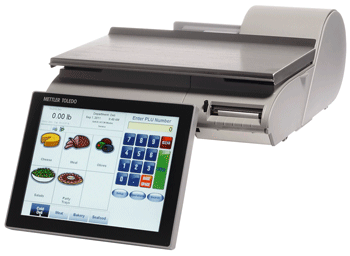 Fast, interactive and extremely easy to operate: the adjustable touchscreen offers exceptional ergonomics and comfort when searching for items and selecting functions. 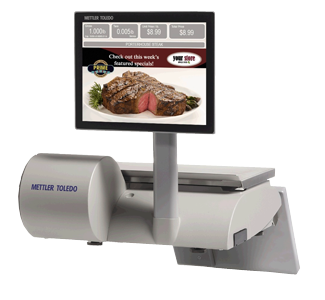 This allows employees to work without strain, and ensures fast, error-free weighing and operating processes, even at peak times. Whether you want to provide information about hygiene, keep staff informed about new regulatory policies, or provide expert advice through recipe tips and information about ingredients or origin, the touchscreen is the perfect platform for innovative employee training and highlighting valuable tips for sales discussions. UC Evo Line scales are very economical when it comes to power consumption. This certainly pays off and is also good for the environment. Strategies for more sustainability exemplified in a credible way - UC Evo Line scales make the decision easy.